measures, thus driving the demand for mosquito repellents in the region. 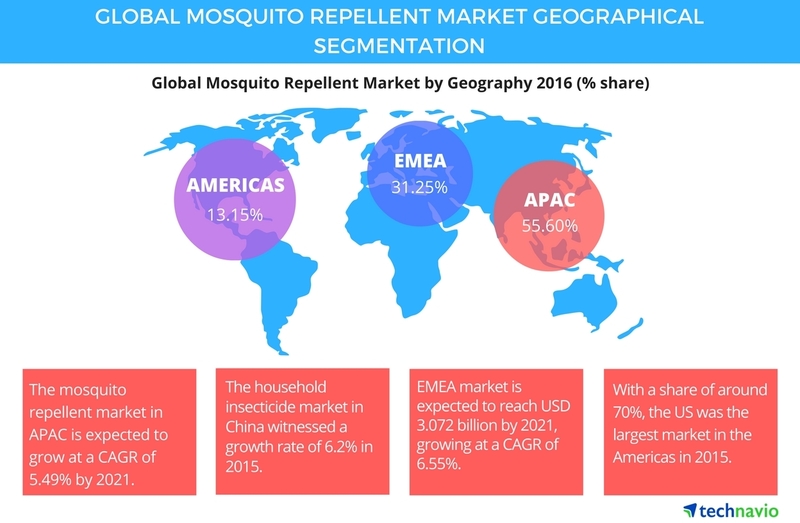 France is the largest consumer of mosquito repellents in the region. The US holds over 70% of this market segment, putting it in the lead. its flagship brand Mortein are the leading players in this market. helping you make informed business decisions more efficiently.